Image: Getty Images/Kevin Winter and Marvel Comics. 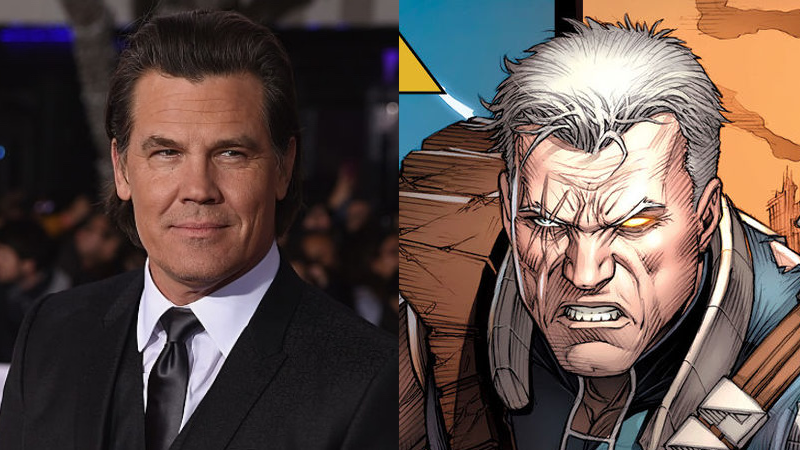 After what’s felt like ages of speculation, a contender out of nowhere has apparently swooped in to take on the role of Deadpool’s time-traveling best bud: Marvel movie alumni Josh Brolin appears to be Deadpool 2's choice for Cable. The news, first reported by THR, indicates that Brolin—whose name was never mentioned amid the Cable-casting speculation that’s been ongoing for the past year—has snagged a four-movie deal to portray Cable in the likes of Deadpool 2, X-Force, and other mutant movies in Fox’s stable of Marvel heroes. Presumably, this came after a deal with recent frontrunner Michael Shannon fell through. Brolin is a familiar name to comic book movie fans—aside from starring in the pretty turgid DC comics adaptation Jonah Hex as the titular cowboy hero, Brolin is perhaps better known currently as the voice of Thanos in the Marvel Cinematic Universe, and is due to appear in the upcoming Avengers: Infinity War as the Mad Titan. Aside from menacing the Avengers, it looks like Brolin will be teaming up with the Merc’ with a mouth on the big screen too. We’ll bring you more on Deadpool 2 as we learn it.